First photo is of lavender Brown Sheep Cotton Fleece in a 2/3 done sweater. I stopped because the sweater was just too heavy. Darker purple skein is Cascade 220 (my purple period?). These are being previewed as choices for Spring Forward KAL. 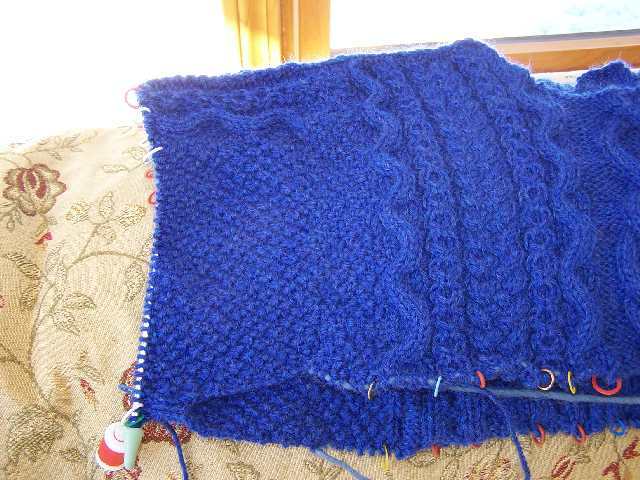 Second photo is of the sleeve start for FLAK and yes I did add some cables going down the sleeve. By the stitch counter shows the sleeve in the round. 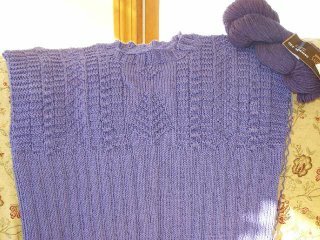 Third photo is the SFCKAL Shirt Tail Hemmed sweater with the hem finished!!! I wish I'd picked up fewer stitches on the curve but it is okay. 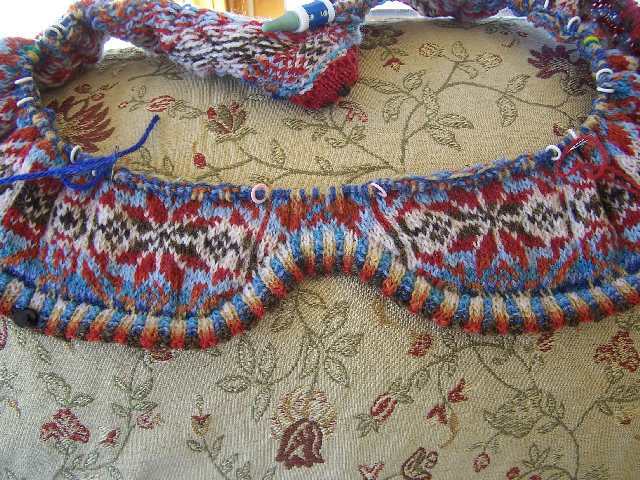 Now to get back to pattern knitting. Great job on the FLAK sleeve! 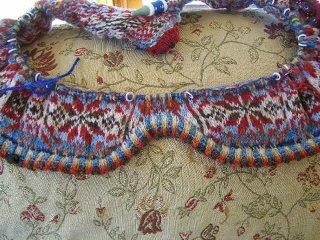 Your color work is beautiful! Beautiful! I love your selection for the SFCKAL. Cute kitty, too.